The ultra-compact Digital Power Amplifier is highly efficient. The cooling fan features variable speeds, spinning quietly at low volumes and running full during higher listening levels. The NIRO Subwoofers generate a powerful, low distortion performance, worthy of any high-end audio system. 6. 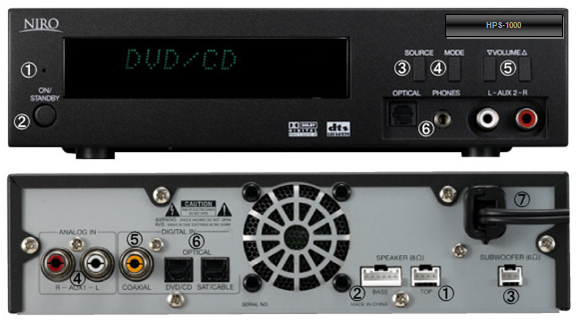 Optical Inputs - DVD/CD/Cable/Sat. Buy the Niro HPS 1000 - Click Here!